Not that they ever left really. But they have resurrected their small sports coupe that we haven’t seen since the Honda CRX from the ‘80’s and ‘90’s. While the CRX was a great little, affordable sports car it really was nothing more than a warmed up two-door Civic, even so it was very desirable for the boy racers of the time, and still is today, although you might struggle to find a good example that hasn’t been tampered with. 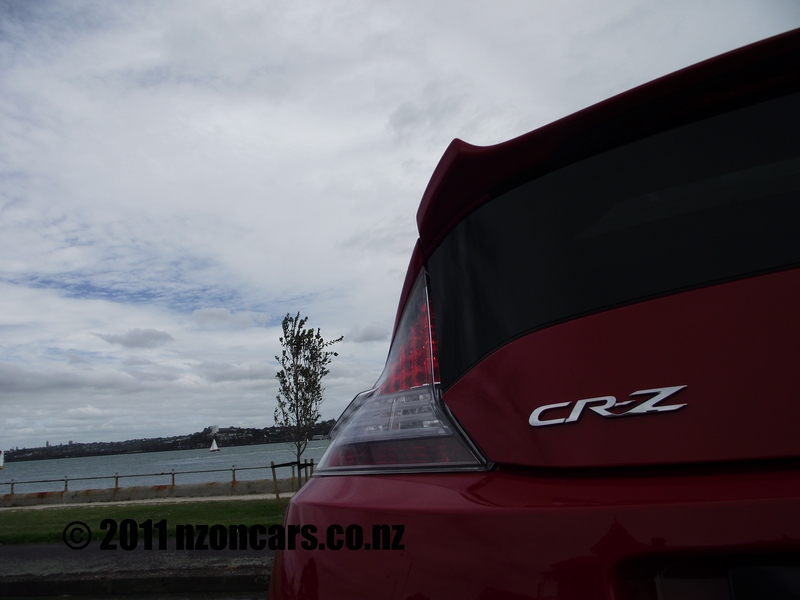 Now Honda is back with the very smart, technically speaking, wedge shaped CR-Z. If you are looking for a little hatchback to do the weekly shopping in, this will be perfect. Provided you don’t want to take any more than one passenger with you. 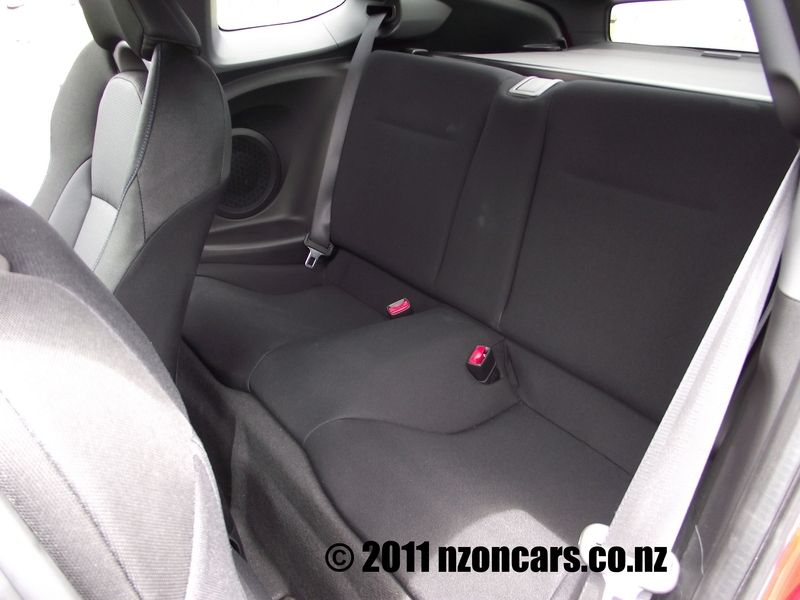 While there are two rear seats installed in the CR-Z, I couldn’t imagine seating any more than a couple of very very short people or amputees back there, which is typical of most two-door coupes. As you are performing this weekly supermarket chore you’d probably want to have the brainy hybrid stop/start system set on the Eco mode in order to save extra dollars for the latte at a Ponsonby café. But maybe you’d like a little more spirited drive out to the suburbs to visit one of your ‘coffee group’ friends for a muffin and a caffeine hit. Leave it on the default (normal) setting that you get every time you start the engine. In this mode you get a tad more power and pretty much sets everything to a, well, normal driving style. Ok, you have now finished gas bagging about the latest episode of Celebrity Desperate Chef Survivor and it’s time for another Latte out at Mark Ellis’ Piha café. Now it’s game time. 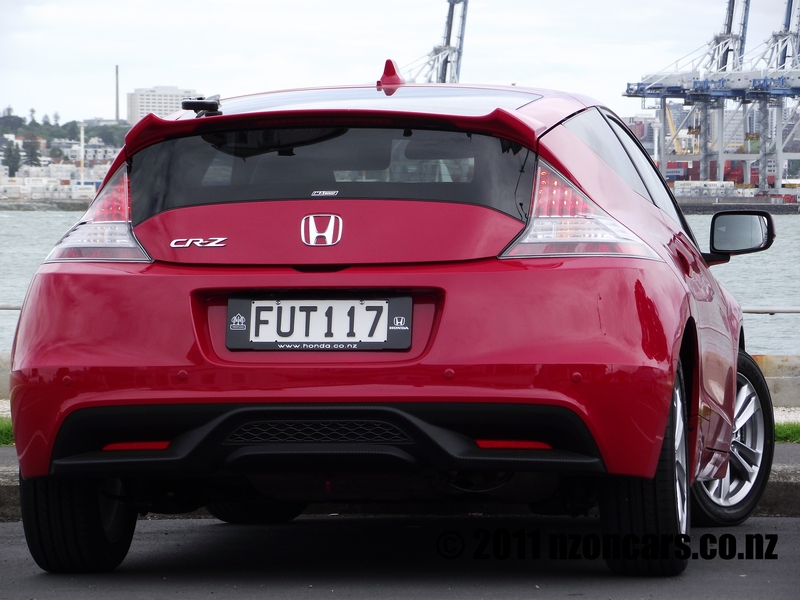 As the advertising from Honda suggests ‘Player one, your car is ready’. Press the sport button and the Honda CR-Z switches from shopping cart or daily commute machine to something straight from a PlayStation game. 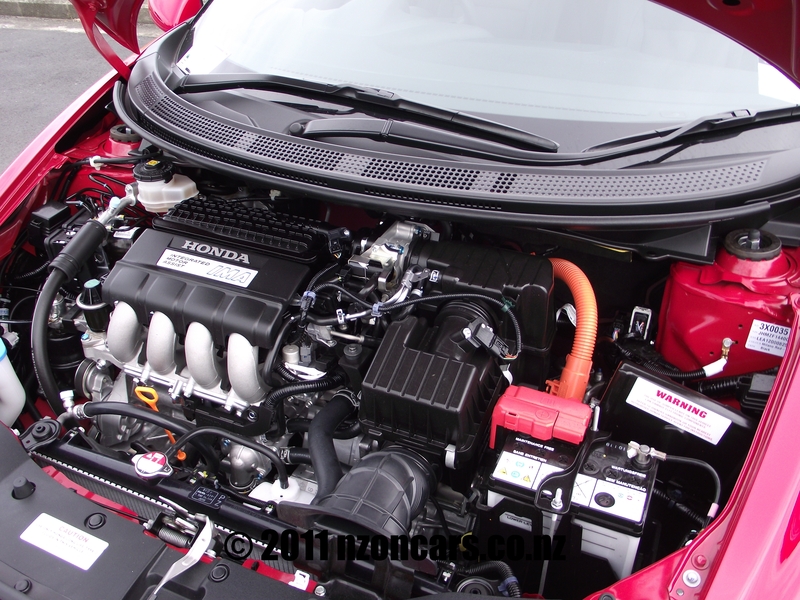 The steering response tightens up, the CVT transmission and engine becomes more responsive and the IMA Boost system livens the whole car up with a turbo boost feel and torque power from such a low rev range you’ll get out to that controversial café in no time with a huge smile and your heart racing. You’d probably gulp the Latte down as quickly as humanly possible just so you can hit that sport button again to re-join the twisty tarmac and find the long way home. I personally would be driving this car in sport mode constantly such is the grin factor of the power and computer game responsiveness of the whole car. But I have two kids and a larger car is needed, or is it? They don’t really need their legs, do they? 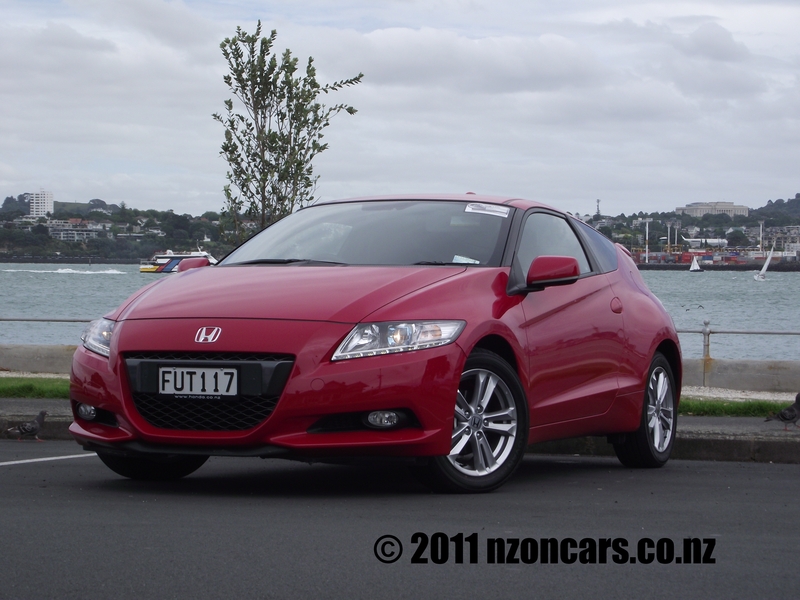 Honda CR-Z model range: SR $44,900. Sport $47,000. Mugen $49,000. 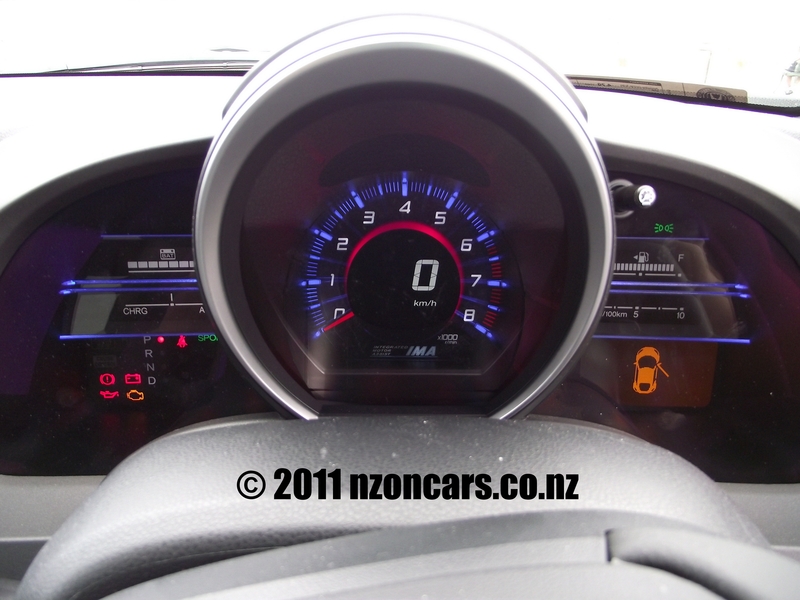 All model prices are for manual or CVT automatic transmission and are plus ORC. 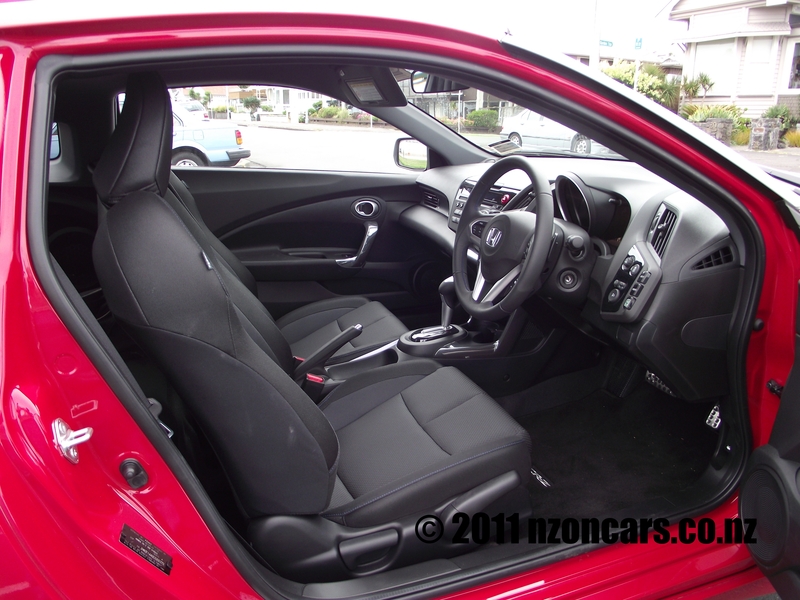 For the full leather options add $2400, which would be a very nice option if you want to work up a sweat in the cabin.